Hide your skinny jeans: There's a new dominating denim trend in town. After years of holding the spot of the favorite child, there's a new style on the rise (or the re-rise, depending on how you look at it). Rigid denim is back to challenge your skinny jeans' sacred status. The 100% cotton styles have seen a major rise in popularity, with a sell rate of over 80%, according to The Wall Street Journal. 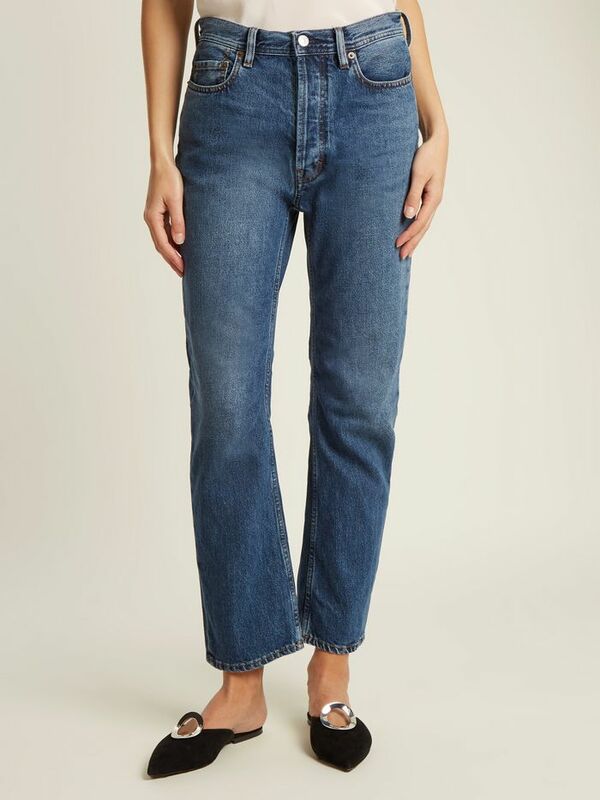 Read on to shop a few of our favorite rigid jeans now. Dark washes look great with white blouses. Wear these with a simple white tee and slides. This wash would look great with a femme blouse. Change it up with white denim. No one does vintage denim like Re/Done. With the rise of repurposed vintage jeans, rigid styles are gaining momentum. The 100% denim designs are stiff (read: not as comfortable as stretchy skinnies) but have a certain caché. Rigid styles have an especially high sell-through rate at major retailers. Will you give up your skinny jeans? Let us know in the comments.